What's Next? is a signature Mettā event series held each month across HK and Nairobi, where we bring together some of the brightest minds from across the innovation ecosystem on a specific topic and ask them: "What's Next?" 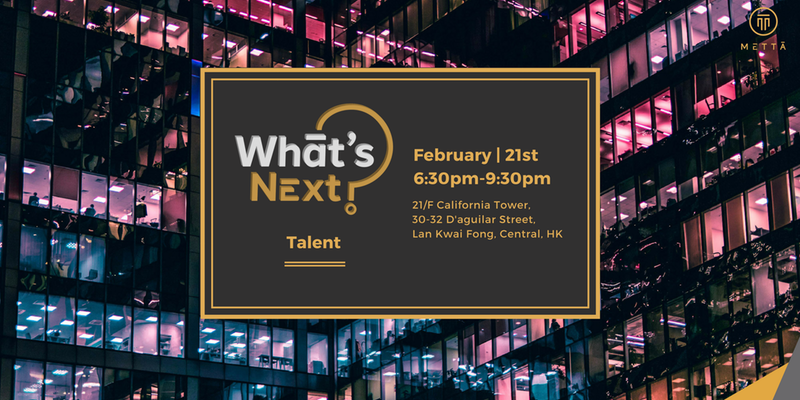 Join us for what we promise will be an extremely interactive discussion as we prepare ourselves for What's Next in Talent. Refreshments generously sponsored by Robert Walters Hong Kong. In order to gain the most out of this experience, we want to make sure your voices are heard!